An extra 290,000 operations could be carried out in the NHS in England every year if theatre lists were better managed, a national review suggests. 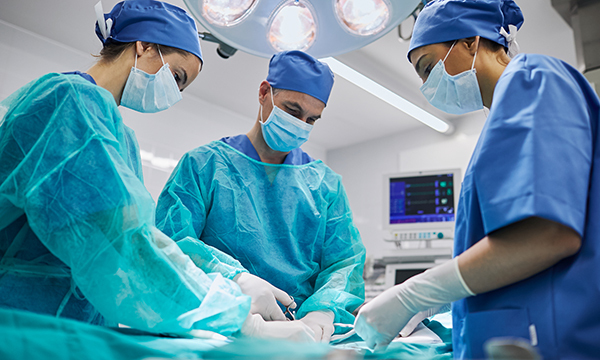 A study by NHS Improvement, supported by the Royal College of Surgeons, found delayed starts and early finishes to operations left gaps that could be filled by performing more procedures. In an effort to improve efficiency, experts examined data from 92 NHS trusts in England. They found significant variation in theatre productivity between trusts and specialties. Overall, one third of operating lists started at least 30 minutes late and 38% finished at least 30 minutes early. More than 111,000 finished at least an hour ahead of schedule. The data suggests theatre time lost to late starts, early finishes and delays between operations could have been used to perform up to 291,327 more procedures, which is a 17% increase on current levels at the trusts. NHS Improvement now wants hospitals to consider a '6-4-2' model, which is already being used in some NHS trusts in England. The idea is that surgical staff agree their annual leave six weeks in advance, agree their lists four weeks in advance, and double check their plans two weeks in advance. This reduces cancellations and late starts, and means equipment, beds and staff are booked in good time, NHS Improvement said. Royal College of Surgeons council member Ian Eardley said issues such as staff shortages and lack of beds affected operation schedules too.